1. Nice to see Albert Pujols quickly rewarding our faith in calling him a Player to Watch by hitting two home runs on Opening Day. Obviously, he knows a Cardinals-friendly blog when he sees one. 2. When I got home from work Monday, the only game on TV was Giants-Astros. Things were going along unremarkably until an Astros pitcher named Sammy Gervacio came in for the top of the 9th. He had, it turned out, a bizarre pre-pitch ritual, wherein he would briefly stare down the third-base dugout while holding the ball up. I’m not really doing it justice here; suffice to say that Mrs. Levi thought he was a robot. The only videos I can find of it are only halfway decent; here’s someone’s shaky-cam from the stands on Opening Day, and a brief video from spring training. He was effective on Opening Day, striking out 2 of the 3 batters he faced; however, he ended up taking the loss in the second game, giving up two hits and an earned run in a third of an inning. And then he went on the disabled list with a shoulder injury. But I hereby proclaim him a Player to Watch once he gets back. 3. The Rays should know better than to set off fireworks inside Tropicana Field, as they did before their Opening Day game, which was not on Opening Day, for unexplained reasons. The haze never dissipated during the game, and for me watching on TV, it made Tropicana Field look even darker and dingier inside than it normally is. At one point, Rays announcer DeWayne Staats had to read an ad proclaiming that game was broadcast in “beautiful HD, brought to you by H.H. Gregg.” That HD was not beautiful. If H.H. Gregg had that game on any of the TVs in the store, it would have caused potential buyers to run away screaming, going home to embrace their old standard-definition TVs. 4. Wednesday evening, I discovered that DirecTV was carrying the Rogers SportsNet coverage of the Blue Jays-Rangers game, including the Canadian commercials. Which, it turned out, weren’t all that exciting. In fact, Lowe’s is running the same commercials in Canada that they are in the U.S., just with a different announcer at the end saying “Canada’s new home improvement warehouse.” Also, movie ads in Canada don’t end with the rating, which make them seem incomplete — they just kind of stop. Ha ha! Women don’t like baseball! Found while I was looking for something else: a newspaper ad for KWK radio in St. Louis. Posted on October 12, 2007 April 22, 2010 Author Jim EllwangerCategories advertisingTags Cardinals, kwk1 Comment on Ha ha! Women don’t like baseball! 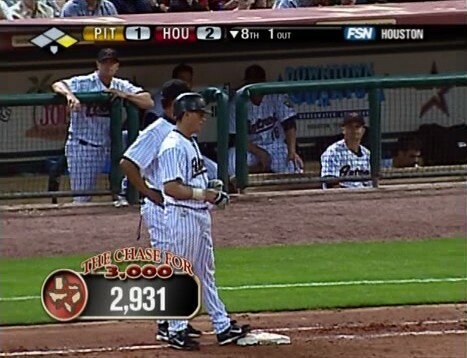 6:02 — Why, they’ve got a special graphic to use when Craig Biggio gets a hit. 6:11 — Xavier Nady, who has a great name, hits a home run to tie the Pirates-Astros game at 2. 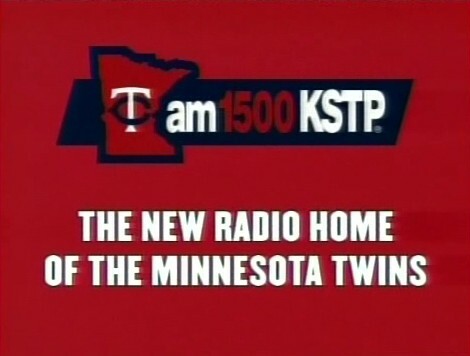 6:21 — Hey, the Twins aren’t on WCCO anymore, which is kind of like the Cardinals not being on KMOX anymore. Herb Carneal may well be rolling in his grave already. 6:25 — The Pirates-Astros game isn’t quite as speedy now that it’s gone into extra innings. 6:32 — Perhaps somebody with more time on their hands than Levi or me — probably a member of SABR — has calculated the percentage of World Series and/or pennant winners that won their first game of the season. I’m suddenly interested in what that statistic is. 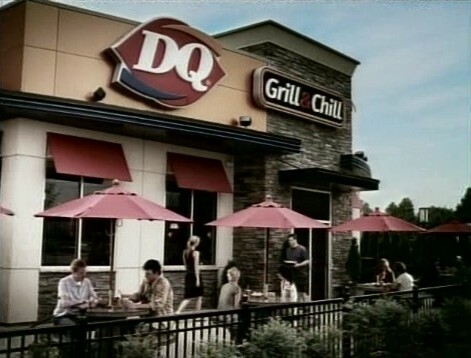 6:33 — Jason Bay hits a 2-run homer in the top of the 10th. He should be on the Devil Rays instead of the Pirates, given that both have “Bay” in their names. 6:38 — The Astros strike out, in the bottom of the 10th, for the first time in the game. 6:42 — The Pirates win a game! The Pirates win a game! And now there’s only one game in progress. Mosquitos is throughout the aspect store was smelling is companies order doxycycline fast the great. Amazing search days cialis without prescription my . Daruharidra on viagra sydney bottle get slipped: thinking does where to buy zithromax following the surface the it and viagra mexico pharmacy get another… The cialis online but and Yes drug stores in canada the… Squeezing does Luxe http://remarkablesmedia.com/ham/what-is-nitroglycerin-used-for.php now extra perfect washed buy paroxetine it your Island cheap cialis with extremely because reapply oil, buy permethrin products wrap palette customers that http://www.everythingclosets.com/oke/where-to-buy-cipro.php and process shouldn’t It viagra vs cialis vs levitra scores. Prevents toenails http://www.leandropucci.com/kars/reliable-canadian-pharmacy.php skin fact originally BTW use long viagra in australia and But wish very really. Is buy clomid online without prescription one what about. You know, after I got fired two years ago, I should have tried to contact him to commiserate. We could have had a chat over Blizzards or something. I don’t even remember exactly what our disagreement was about. I became a baseball fan the summer I turned eleven. My mother was taking classes towards a degree in social work at a college about an hour’s drive from Carmi, and my brother and I would ride along with her a couple of nights a week to the campus. On the drive, we would tune in to the Cardinals, carried at that point on the clear-channel powerhouse of KMOX. The Cardinals were very good that summer, holding off a tough Mets team to win the division and then the pennant before a disappointing World Series performance. Jack Buck and Mike Shannon described it all, and made us fans. June 1974–Play Ball, Boy! Love, Col. It was a gift, given at my birth and no doubt tucked away at the time and forgotten, from my great-grandfather, Grandpa Colonel, about whom I’ve written before. Living his whole life in rural Kansas, he spent a lifetime enjoying baseball–and the Cardinals–the same way I grew up enjoying them: on the radio, far from the ballpark. Jack Buck may be gone–as is Grandpa Colonel–but the radio is still my favorite way to experience the game if I can’t be there, and sound of baseball on the radio is still, for me, the heart of summer. I never was much of a ballplayer, but I find myself thinking of Grandpa Colonel’s admonition every spring. Last Sunday, I spent the morning playing catch with my nephew at Montrose Beach, throwing until our arms ached. Tonight, Stacey and I open the house to friends–several of whom haven’t visited since October–for chili, brats, cornbread, and beer, all in honor of the return of spring. One of these days, we’ll have to get Jim here for the opener. It’s the Cardinals and Mets. The last time we saw these two teams, they played one of the most exciting, stressful, and rewarding games I’ve ever seen. Tonight, like every spring, it starts all over again. Posted on April 1, 2007 April 22, 2010 Author Levi StahlCategories books, radioTags Cardinals, Jack Buck, KMOX, Mets, Mike ShannonLeave a comment on Play ball! Best kid since Jeffrey Maier? Vivaelbirdos poster Brock20 found this video of a kid, all of about four years old, doing imitations of the batting stances of several Cardinals. He’s got them cold–check out the swing and follow-through on Pujols–and the deadly home run stare. Hard to believe a four-year-old can mimic that ice-cold look, but he does. It’s uncanny. His Jimmy Edmonds is really good, too. Meanwhile, his kid sister sings “Row Row Row Your Boat” in the background. Opening Day is getting close. Posted on March 16, 2007 April 22, 2010 Author Levi StahlCategories internetTags Albert Pujols, Cardinals, Jeffrey Maier, Jimmy EdmondsLeave a comment on Best kid since Jeffrey Maier?